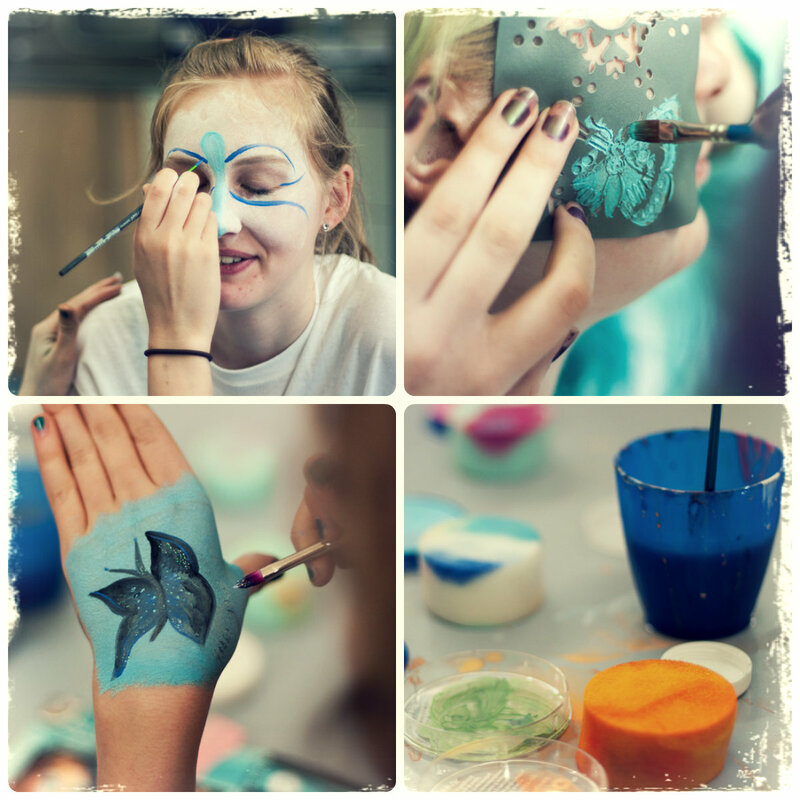 The Horniman Youth Panel presented a day of activities for young people and families on a Brazilian or Amazonian theme to coincide with the opening of the new Amazon Adventure exhibition. 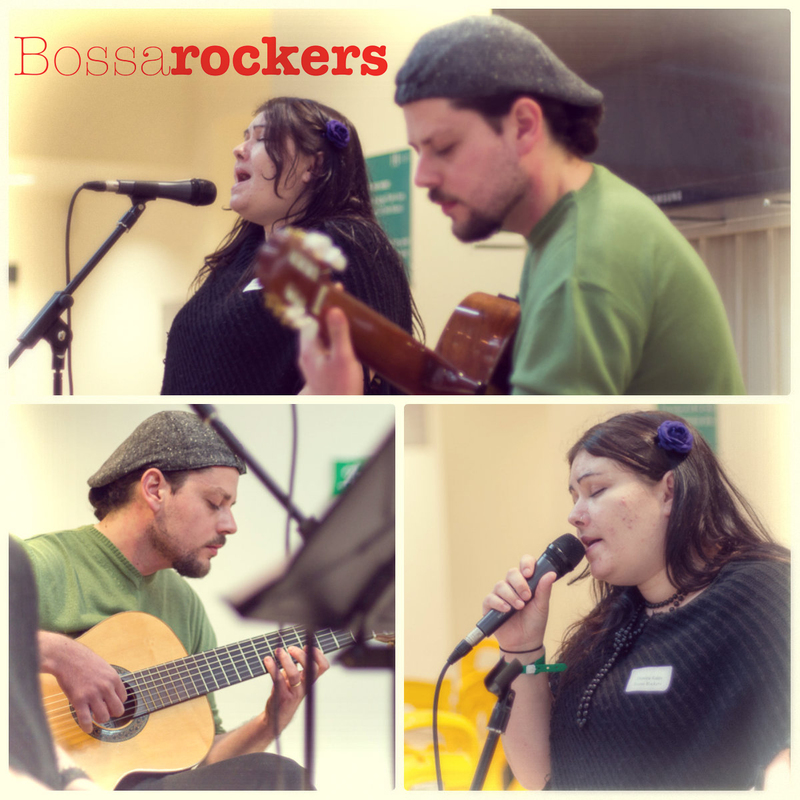 There was a whole host of activities on and this video is edited to the music of the BossaRockers who performed three sets in the main Gallery Square area of the museum. Visitors and Staff alike seemed to be enjoying their music filling the spaces between the galleries and bringing an upbeat but relaxed atmosphere to the day. For familes with young children the highlights seemed to be the face painting which was handled by members of the youth panel. But it wasn’t just the children getting their faces painted. 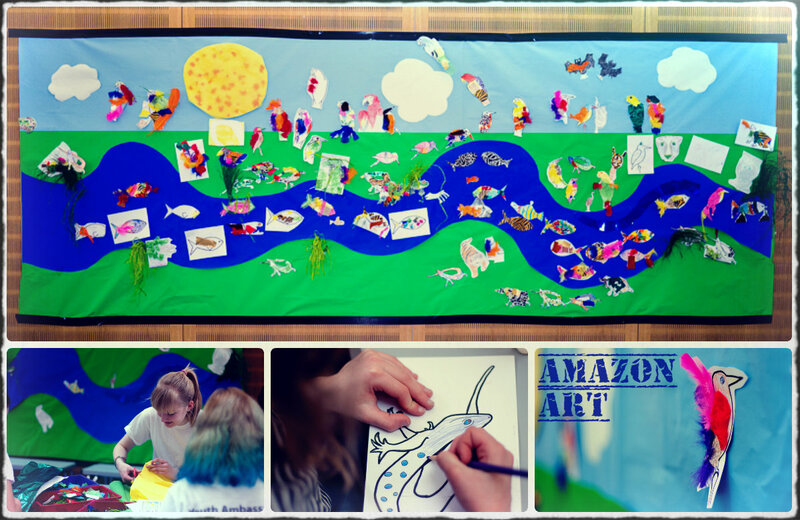 In the same room there was an opportunity for children to decorate or draw an Amazonian animal and add it to the giant poster that stretched across the whole room. Lot’s of very focused young artists contributed to the finished frieze. One of the things that really caught the imagination of the young people though seemed to be the photobox that was set up in the Hands on gallery. 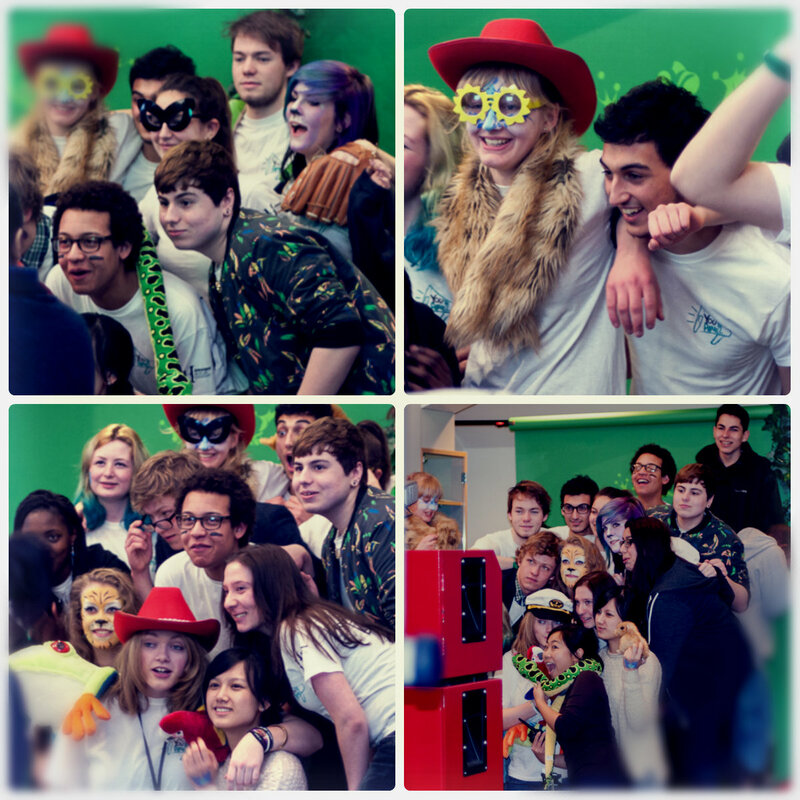 Some Amazon themed props – as well as some cowboy hats and fezes – were available for posing in and with. It looked so much fun we couldn’t really resist it ourselves! 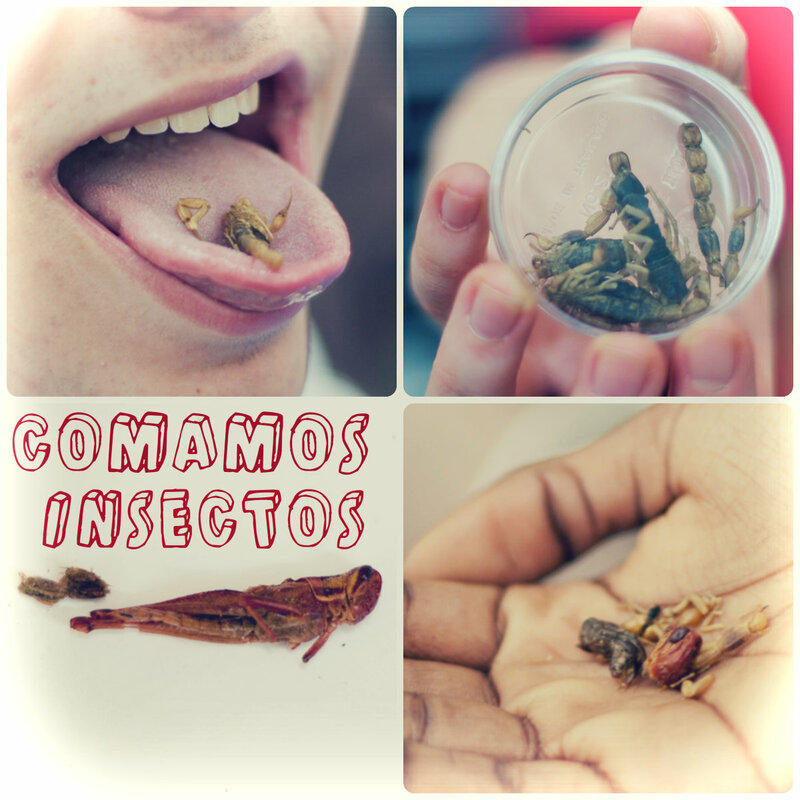 The most exciting/repulsive/hilarious/stomach turning part of the day waz the Comamos Insectos activity that pitted contenders against their taste buds to eat a number of disgusting flies, bugs, worms, larvae, grasshoppers and even scorpions! There was a lot of bravado and a lot of genuine courage. I was so grateful I could refuse on the grounds of vegetarianism cos there nothing that looked appealing on that menu! 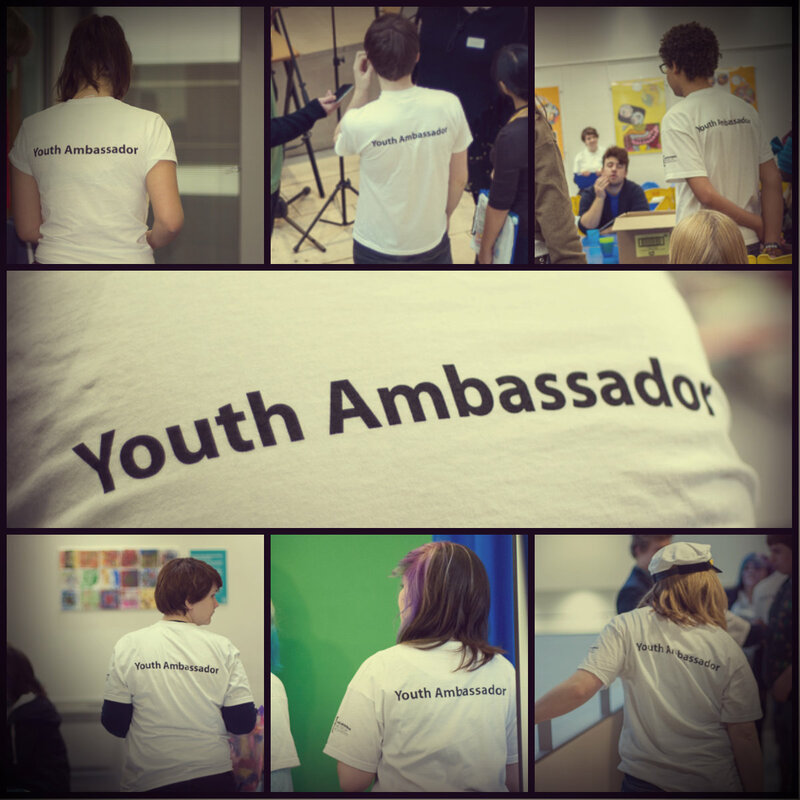 A really vibrant day that was especially impressive as it was organised and run by the Youth Panel Members themselves! 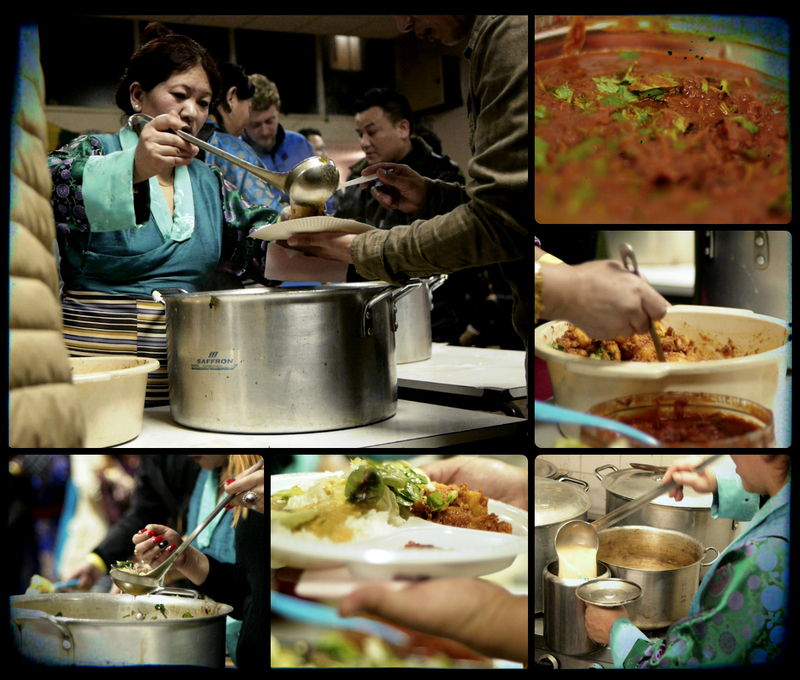 A few weeks back we filmed a Tibetan Food and Feasting workshop at the Horniman Museum. Tom had arranged the workshop with two members of Tibetan diaspora, Padma and Premila. The workshop began with some introductions. The group was compromised of quite a wide range of people with varying interests and expertise ranging from Tibetan exiles, bloggers and activists to former Museum curators. There was also a Lama and a monk from Kagyu Samye Dzong, a buddhist temple in Bermondsey. The majority of the morning was spent looking at and handling Food and Feasting related objects from the collection. 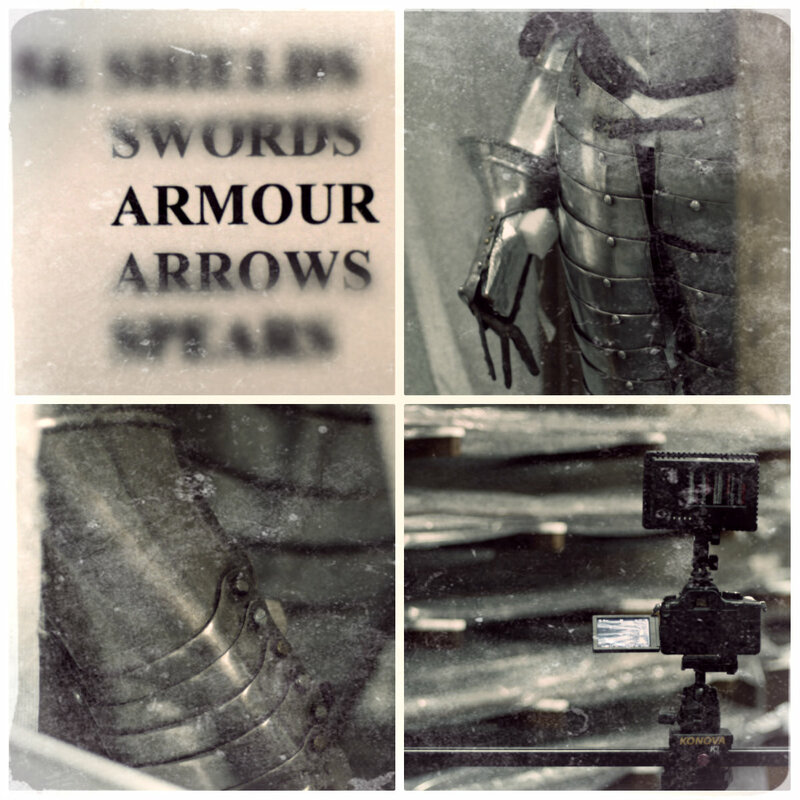 Tom, the curator, was hoping that objects would inspire discussion and perhaps elicit information from the attendees and I certainly think that was the case. Some of the “Tibetan” objects it seemed where in fact Chinese or from Bhutan. There was much discussion as to why this might be but it was generally agreed there was a lot of object migration across this region so it was likely that they were collected in Tibet. There was a range of objects that were both ornate and functionary including an incredible grater (although it was primarily made from wood with metal, cutting sections, that had rusted, its function was pretty clear even to me), plenty of tea pots and drinking bowls, storage containers for grain and tsampa. Tsampa is traditionally the staple food of Tibet and is made from barley. 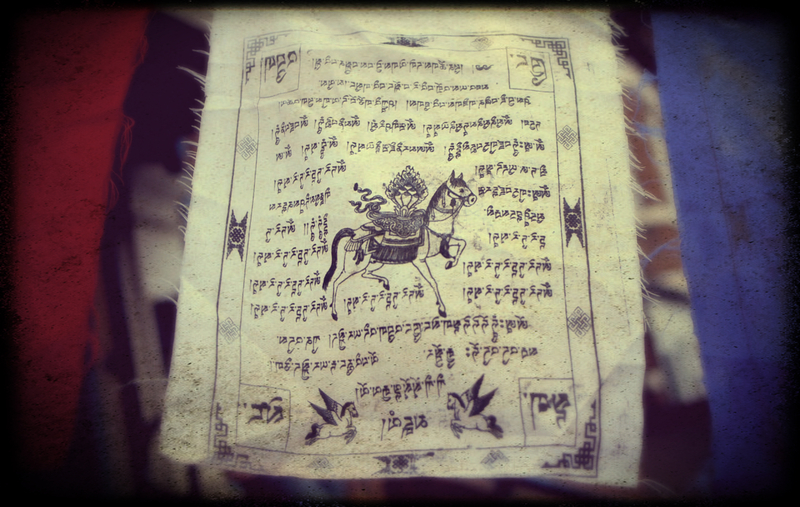 One of the most resonant objects for the older Tibetans was a pouch, of goat(?) skin, that was for carrying tsampa and would allow you to mix it in the bag before eating. You can see the grater in the top left and the tsampa pouch underneath that. 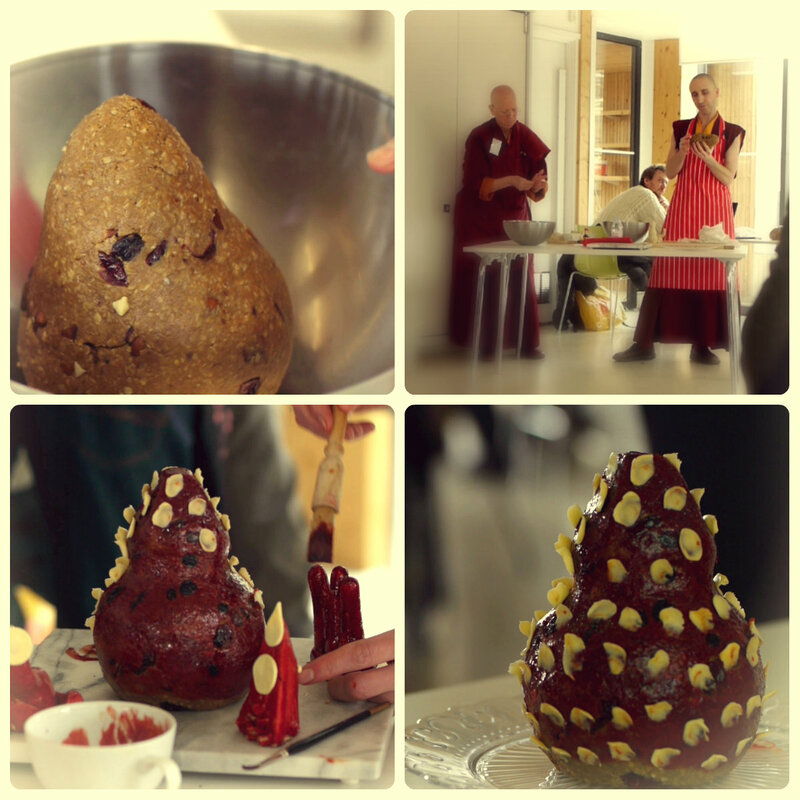 Later in the day we had a demonstration of Tsampa Making which involves mixing the tsampa flour with water or Tibetan Butter Tea and then rolling into a kind of doughy ball. We had three different people rolling Tsampa in very different ways. Sadly my palate wasn’t up to distinguishing between the types too much beyond texture. One of them included some dried yak’s cheese which was very exciting for this cheese lover! Tibetan Butter Tea sounds like a creamy rich kind of tea but it really doesn’t taste like that. Perhaps I was lucky not to taste the tea at the Losar in the end as it would not have tasted at all as I imagined. Luckily, I was forewarned to imagine I was going to drink something more like a slightly tea flavoured salty soup. It was a very odd sensation and was certainly more different to drinking English Breakfast Tea than even the name might suggest. The feasting didn’t stop there as one of the attendees had brought a variety of different breads and snacks to share. Mostly these foods were related to Losar but she also had examples of the Tibetan brick tea and commercially produced tsampa biscuits. Two younger members of the Tibetan diaspora, spent a lot of time in the kitchen preparing a kind of stew that, sadly, had meat in it so I couldn’t taste it but it was full of green leafy veg and then they added lots of dough that cooked in the stew. The cooked dough pieces floating around looked really appetising. Something like fresh pasta I imagine. This meal was shared around for everyone to taste. One of the kinds of Torma is eaten traditionally and this was what was made during the workshop and which we got to taste. The ingredients for this food offering Torma included oats, rather than barley, raisins and honey so when we tasted it it was surprisingly sweet. With the honey, oats and raisins you might not be surprised to hear that it reminded me of flapjacks but it certainly surprised me at the time. The ‘petals’ on the outside of the painted torma are made from butter. We tried to speak to as many of the attendees as were willing to be on camera and there was a very common message through the day that all of the talks were incredibly interesting, that handling the objects was fascinating and particularly emotional for the attendees who had left Tibet many years ago. As a genuine novice to the topic I left with a richer and deeper understanding of traditional Tibetan culture and also the contemporary struggle for Tibetan identity both in and out of Tibet. 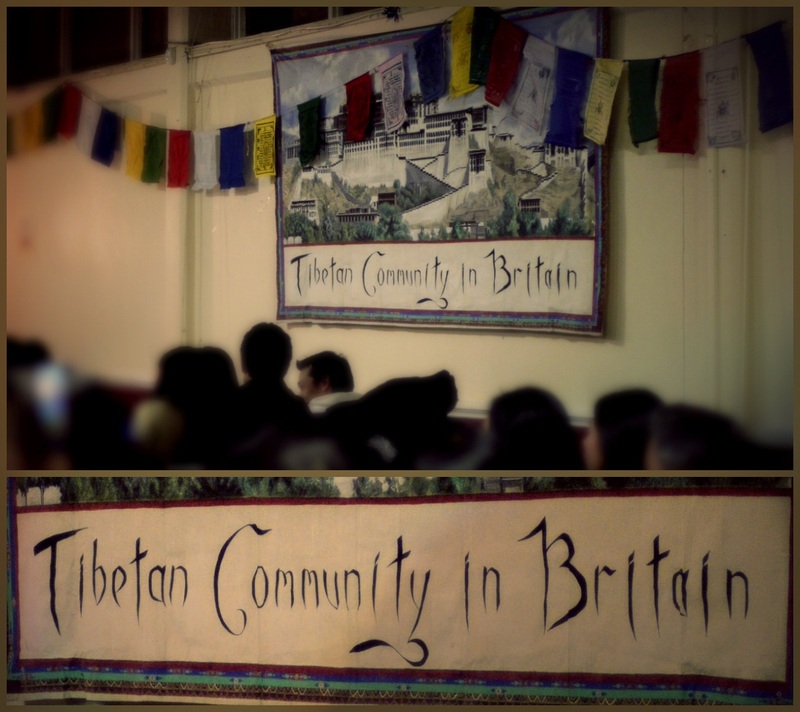 As part of our ongoing filming with the Horniman on their CPS project we attended a Tibetan New Year (Losar) celebration in South London a few weekends back. A wall hanging decorating the hall at Losar in South London. We bent our heads under strings of Tibetan Prayer flags and descended through a damp doorway and along a murky side path. There was a group of men smoking lit by the faint glow coming from the entrance at the far end of the alley way. The entrance was covered with a thin fabric hanging and as we ducked underneath it we were greeted by a small boy with a beaming round face who waved and declared, “Thanks for coming! Have a wonderful evening!” The adults were perhaps not as effusive in their greetings but we were certainly made to feel welcome. Tibetan Prayer Flags marked the entrance to the hall that was also lined with prayer flags. The hall was full of activity and I could immediately smell, and almost taste, the food that was being prepared. The large hall was fringed with tables around a large dance floor. At each table were groups and families playing bingo, playing cards and chatting. In a corner of the hall children were playing football with an empty crushed plastic water bottle. 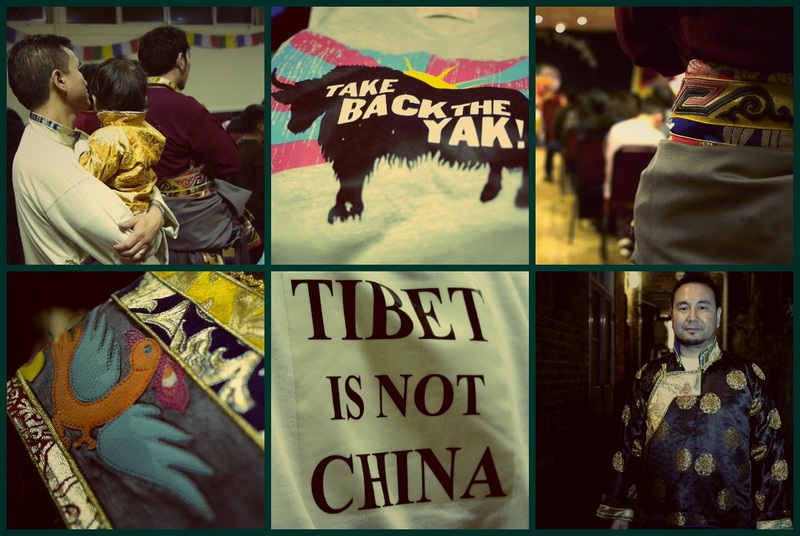 There was a stand selling t-shirts with contemporary Tibetan slogans on them which contrasted with the array of traditional clothing that was also on display, though many people were also dressed casually. Either side of the modern slogans you can see examples of the more traditional clothing. We wanted to use the theme of food and feasting to lead our filming so we headed straight for the kitchen where we did our best not to get in the way in a cramped space while all the different kinds of foods were pointed out to us. The food wasn’t served until much later in the evening but it was being produced on a fairly industrial scale to feed the large numbers of people who were attending. Very shortly after that we began chatting to a few people on camera. We began with a very friendly gentleman who was the first Tibetan person to move to the Woolwich area and is a sort of founder of the Tibetan community there. He told us of childhood in Tibet and moving to India where, although it is much warmer, when he had to take off all of his Tibetan clothes to wear jeans and a t-shirt to go to school he felt cold for the first time in his life. We spoke to a woman who told us about the special drink that you drink first thing in the morning, while still in bed, on Losar. We spoke to her daughter who runs a blog called High Peaks, Pure Earth that translates blogs in Tibetan and Chinese in to English to share them more widely, these can include essays, opinions and poetry. She talked to us about the difference between Tibetan Butter Tea and Indian Sweet Tea and how Tibetans now look to India because it is where many exiles leave for and is the home of the Dalai Lama. We spoke to a very charming young man of about 10 whose mother works in a Tibetan restaurant. He was very interesting as he grew up in Nepal until he was eight before moving to London. Although he may not have been able to express it fully yet he clearly felt the difference between living in the East and West. As we were speaking to a man who had escaped Tibet many years before and just as he was showing us his traditional outfit people began running down the alleyway, where we had been filming, clapping their hands. We had to move. Fast. A Lama had arrived. 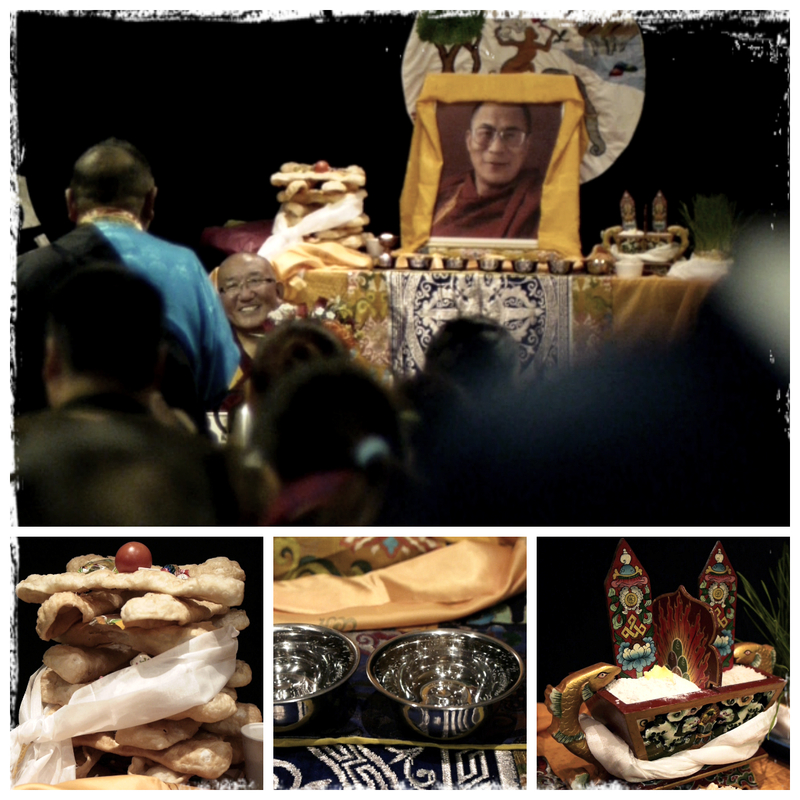 This Lama had some to give a talk and answer questions at the Losar celebration. He had been a very high level Lama within Tibet and been picked out by the Chinese government before he had gone into exile. 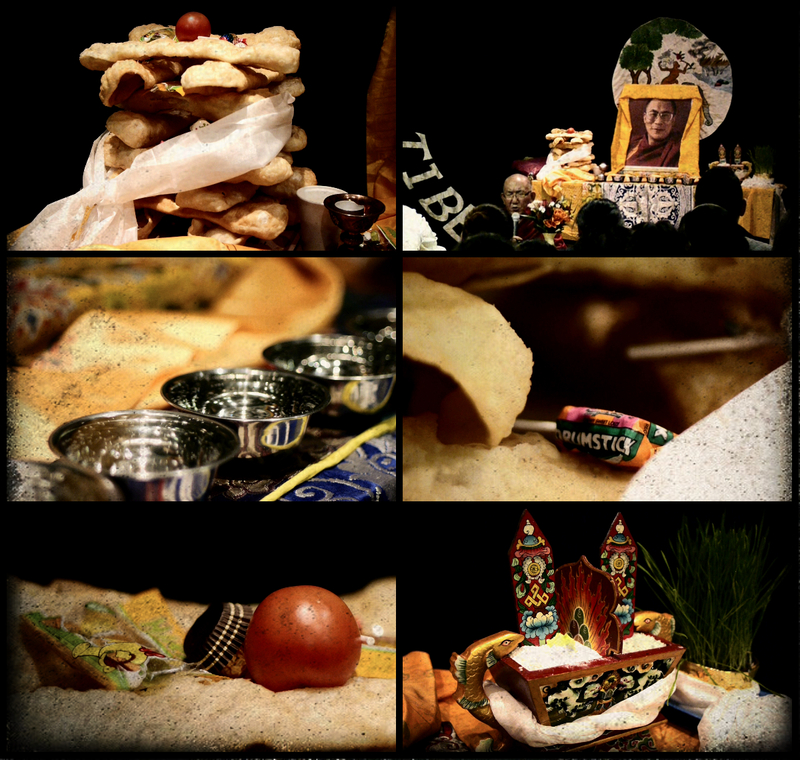 The image shows the altar from a distance with a few of the details underneath. He spoke for a while and answered many questions but all in Tibetan so it was difficult to know what was going on. We spoke to a lovely man who explained more about the Lama and his work; how he now lives in America but travels the world to speak to Tibetan and Buddhist communities. The man explaining was very interesting himself having gone into exile, become a monk, left the monastery again and moved to Poland before finally coming to the UK. He was a very peaceful person and talked about accepting positivity and rejecting negative influences in his life. We were also introduced to a young theology student who talked us through the symbolism of the altar, which I shan’t go into but to let you know that the long bit of dry bread in the top left of the picture below have a name that literally translates as Donkey’s Ears! More details from the altar. You may also notice some familiar sweets which is a development from the Tibetan diaspora because the tower of food is symbolic of favourite and best foods. The food is very important. And long lines formed when the food was finally brought out from the kitchen and after getting some images of the food, which you have already seen above, we had to run to catch our train. Within moments being back on a train station in London felt quite surreal and we felt like we had been immersed in Tibetan culture for much longer than a few hours and were struck by how generous, open and kind everyone had been to us while we were there. 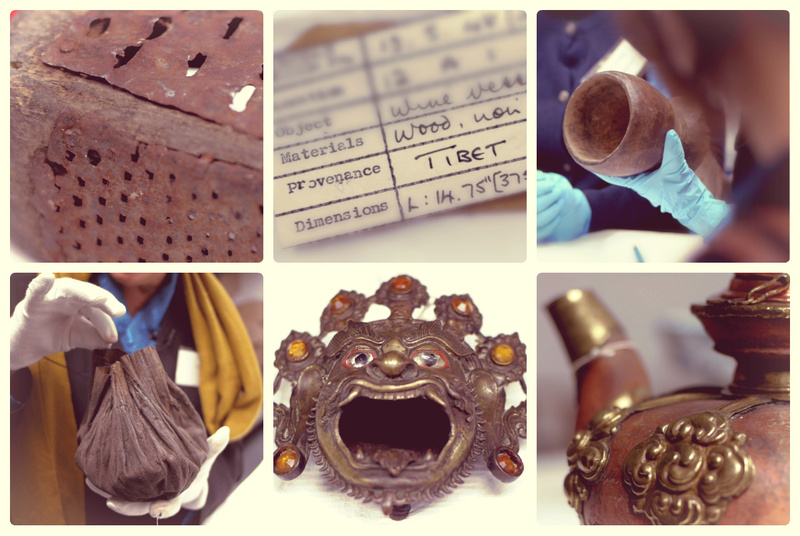 The footage from this day will be combined in a video with footage from a workshop that the Horniman hosted inviting Tibetan people and other interested parties to come and look at some of the Tibetan Food and Feasting objects from their main collection. 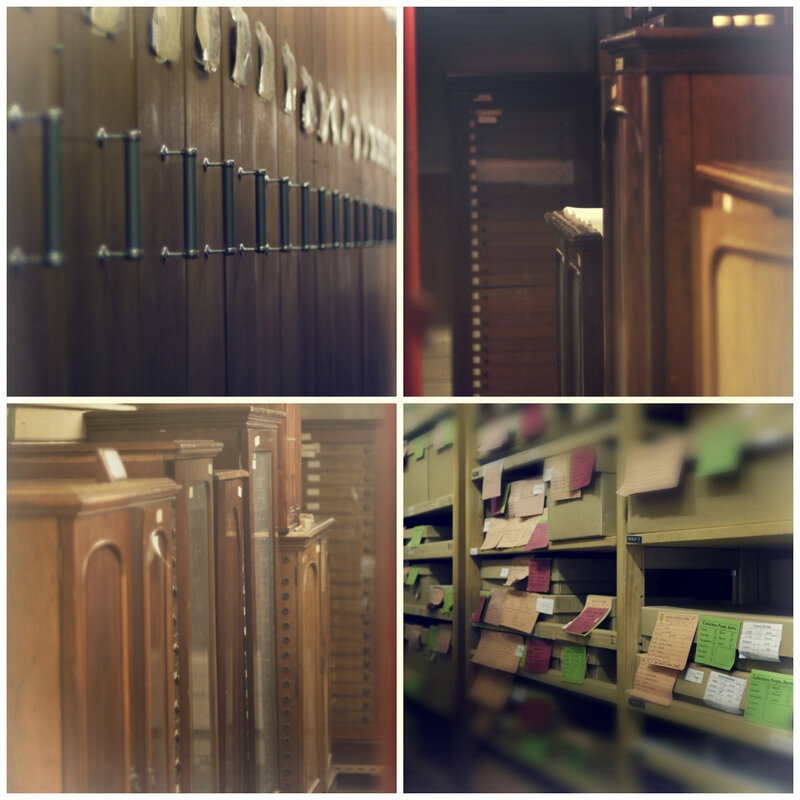 We are currently working with the Horniman Museum again. If you aren’t familiar with the museum then you can get a quick overview from this video, which we made for them a while back. The Horniman is currently engaged in a massive project to re-look at their anthropology collection but that is all explained here! We filmed a community event as part of CPS called Crossing Borders which was run by the museum in collaboration with the Southwark Day Centre for Asylum Seekers. 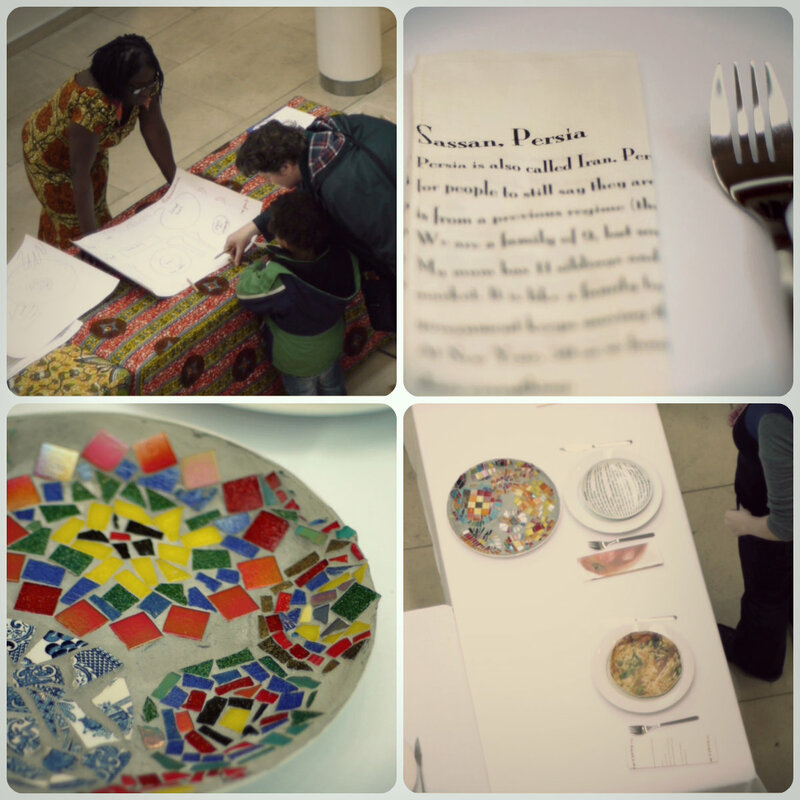 There were a series of workshops and events for the public on the theme of Food and Feasting. In the main square there was an installation of plates that had been designed by participants of a workshop run by Seiwa Cunningham at SDCAS. The plates represented personal thoughts, ideas and feelings on the day’s theme. Seiwa was was also present encouraging children to draw their own favourite foods on paper plates so they could decide what food they would take to a feast. She was very impressed by the healthy choices the children were making but I definitely saw a few plates of chocolate and chicken ‘n’ chips! 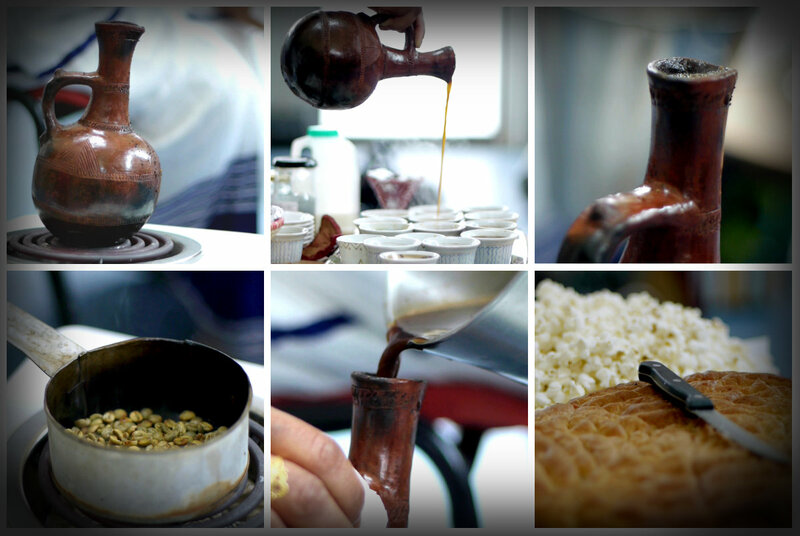 There was a lovely workshop with Abeba, an Eritrean woman, who demonstrated the traditional making of Eritrean Coffee. This is known as the Coffee Ceremony. I am not a huge fan of coffee myself but the smell of the coffee as it was roasting was absolutely delicious. Abeba had also cooked a large loaf of traditional bread and provided plenty of popcorn, a standard accompaniment, for everyone to be able to have with their taste of coffee once it was ready. The atmosphere was very gentle and everyone seemed to really enjoy the coffee. While the smell of the roasting was tempting I still couldn’t steel myself to taste to the final product. We also spoke to storyteller Debbie Guneratne, who was telling stories from Sri Lanka, and recorded a workshop where Ahmadzia helped children make their own kites from tissue paper and a bits of old window blinds. His skill was very clear as he had grown up making these kites in Afghanistan. It really made me think of the wonderful book The Kite Runner and the children in that book making, flying and competing with their kites. Although it is quite a complex activity the children (and adults) had a unique experience and it was really thrilling when Ahmadzia was able to make them fly even indoors in the workshop room. It was a really amazing day for us and within four hours, as well as recording some great footage for the video (coming soon! ),we had had a fascinating glimpse into many varied cultures and spoken to so many nice and interesting people and played with some bonkers children who I even let take over the camera for a while… but not too long!